INTERGRATED POLITICAL ADMINISTRATION CENTER OF BINH DUONG Binh Duong New City will be a civilized and modern urban, area and the central district of Binh Duong City in accordance with the plan by 2020. Especially, this place was chosen by Provincial Committee, People's Committee and People's Council to be the administrative center of the province. SORA gardens, with high-quality living space brings the best of contemporary and traditional, Vietnamese and Japanese lifestyle. MIDORI PARK is 63-ha in area, which is the largest in Tokyu Binh Duong Garden City. Inspired by the idea of “Living in the Green”, BECAMEX TOKYU aims to bring the living environment standards to the city residents with brightness and beautiful nature in increasing overtime. “hikari” – A favorite place in New City hikari – the first commercial project which was made by BECAMEX TOKYU – located in the centre of Binh Duong New City and nearby the Integrated Administration Centre. With more than 300 seats inside hikari food court, you can enjoy a lot of delicious foods in different countries such as Japan, Korea, Thailand, Taiwan, etc. In addition, there are 3 restaurants outside the food court such as THE SUSHI BAR (Japan), DANH NGUYEN (Taiwan) and HAPPY (Viet Nam). It could provide more places for people who’re living in New City to have many tasty foods. KAZE SHUTTLE bus connects Thu Dau Mot City and Binh Duong New City. It will be a new means of transport for government workers who work at the Administration Center and will also respond to the transportation needs of the residents in Binh Duong New City. STAFF INTRODUCE WE CAN GIVE YOU MORE INFORMATIONS IN FIVE LANGUAGES! The language barrier is one of the problems for customers when they want to approach more informations about company or project on website. 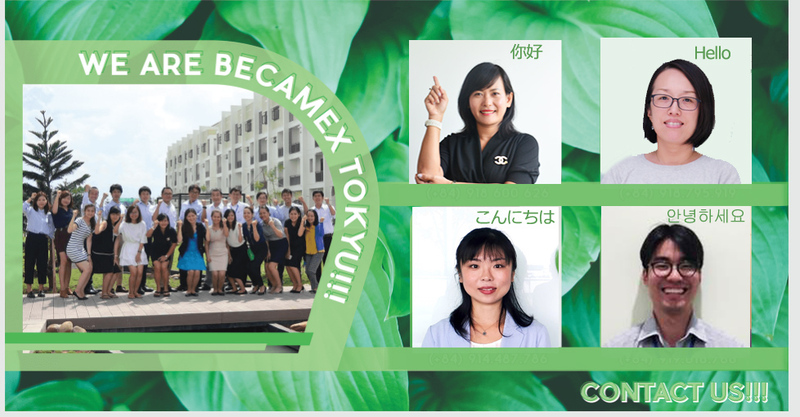 To overcome this problem with Japanese spirit “Omotenashi”, BECAMEX TOKYU have staffs resource who can communicate in five languages such as Vietnamese, English, Korean, Japanese and Chinese (Taiwanese). 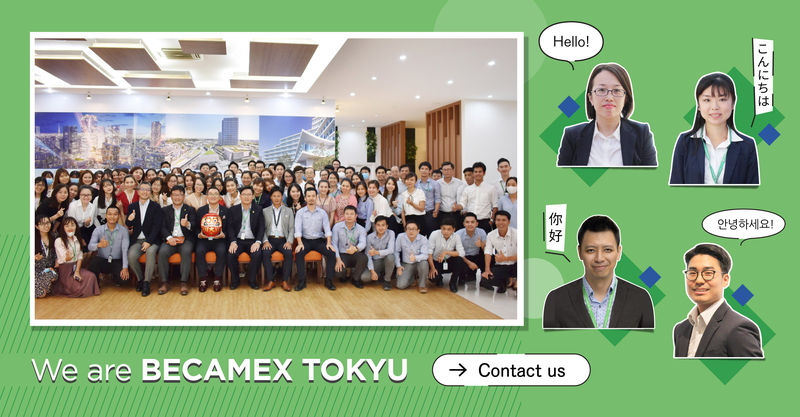 For more informarions or having any questions about BECAMEX TOKYU, please feel free to contact us!!! hikari – the first commercial project which was made by BECAMEX TOKYU – located in the centre of Binh Duong New City and nearby the Integrated Administration Centre. With more than 300 seats inside hikari food court, you can enjoy a lot of delicious foods in different countries such as Japan, Korea, Thailand, Taiwan, etc. In addition, there are 3 restaurants outside the food court such as THE SUSHI BAR (Japan), DANH NGUYEN (Taiwan) and HAPPY (Viet Nam). It could provide more places for people who’re living in New City to have many tasty foods.